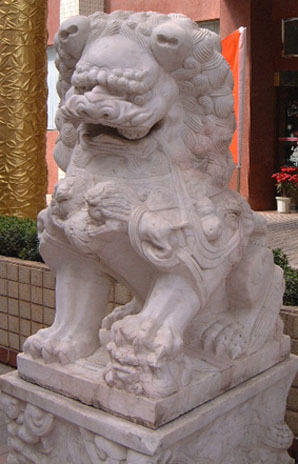 This page shows a few stone lions taken at random in Haikou and Sanya. 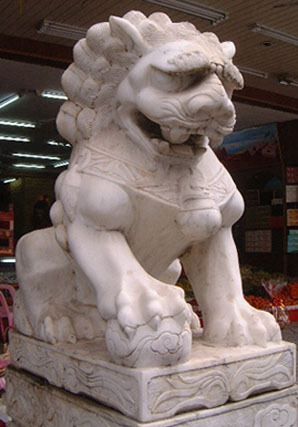 While all are orthodox in posture and (with the exception of the second) have similar accoutrements, they are interesting for the variety in treatment, particularly in the brows, mane, and ears. Male is on the right. 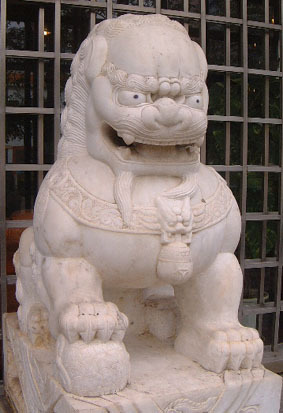 This pair of round-headed lions was photographed outside a bank in Haikou. 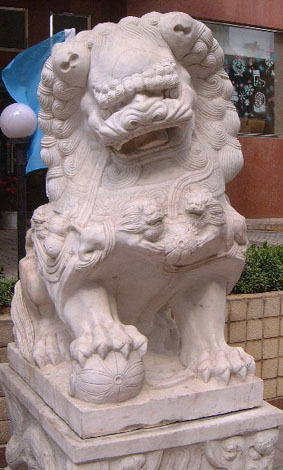 This pair with typical manicured manes was photographed outside a small hotel. 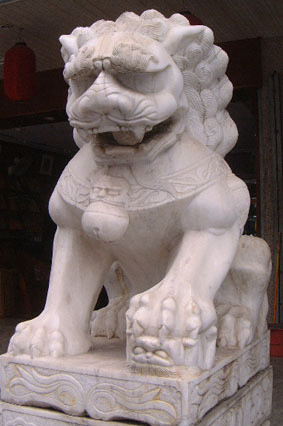 The lions' accoutrements are treated in some detail. 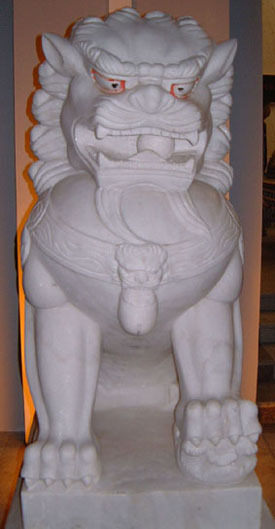 Instead of the usual lion face holding a bell in its jaws, the lions' chests feature two lions supporting a ball. This pair was found outside a set of shops. 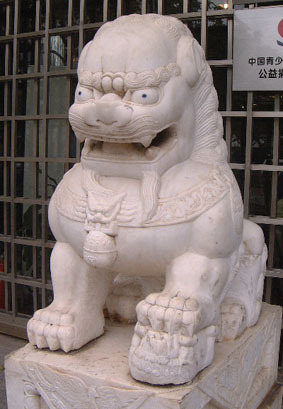 Both lions have pearls in their mouths. 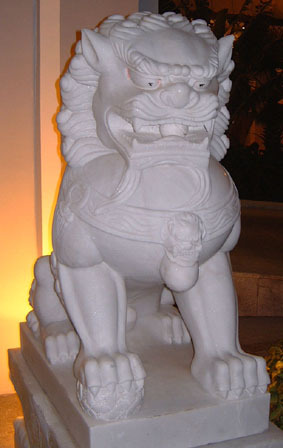 Outside a hotel in Sanya. 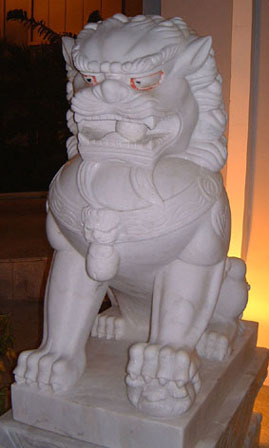 Both lions have pearls in their mouths. 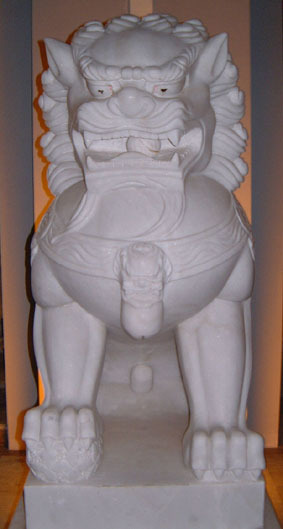 This is one of the relatively rare cases where the male is shown as anatomically male.